Ai-Kon » Mobile Ai-Kon App! 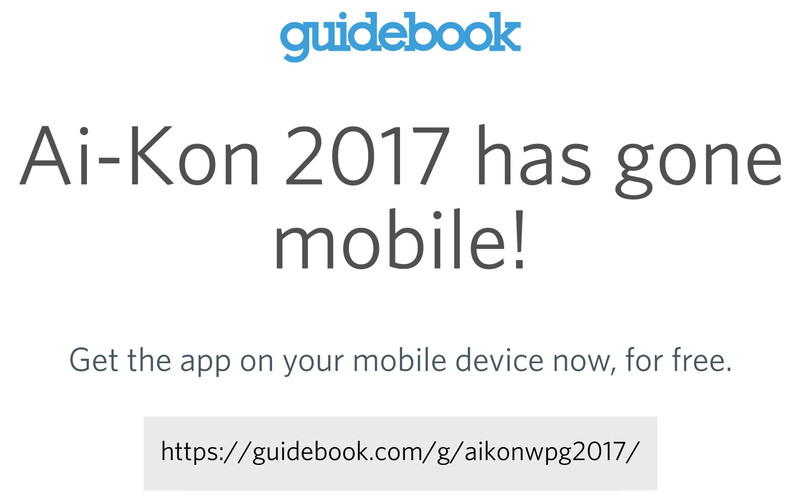 We have a mobile friendly version of our Ai-Kon 2017 guidebook with the Guidebook app! It’s the best place to get all the most up to date information regarding the event. Plan your weekend by creating your very own personal schedule from withing the app! Share pictures for everyone to enjoy! Connect it to social media to let everyone know how much fun you’re having! Orient yourself with pocket-sized maps of the convention and so much more! It doesn’t even require a data or internet connection once it has been downloaded! Don’t forget to give us your feedback so we can improve our mobile friendly guides in the future!